I would apologize for my absence, but I can’t be sorry for spending more time with family and preparing for Jesus’s holiday! 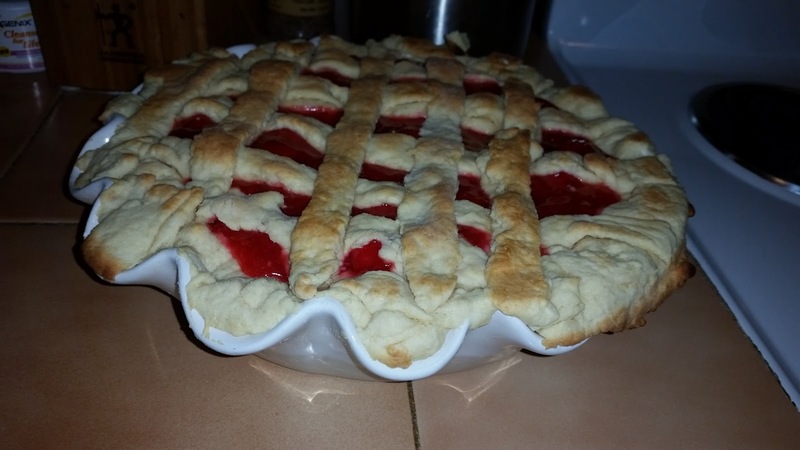 I have been baking, wrapping, and spending much needed time with my Mom. So from our family to yours we wish you a very Merry Christmas and a Blessed New Year! 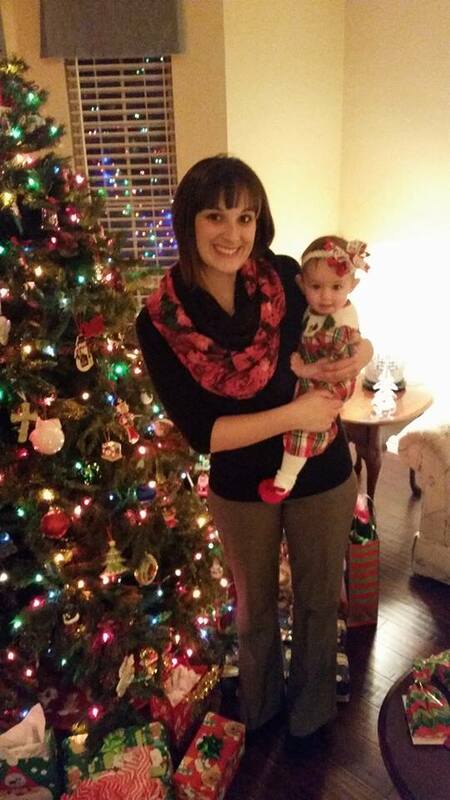 Hallie and I will be back to update you on how we celebrated Christmas after the New Year! Prayers for my family and most especially my Mom this holiday are much appreciated! God Bless! Good Morning Friends! 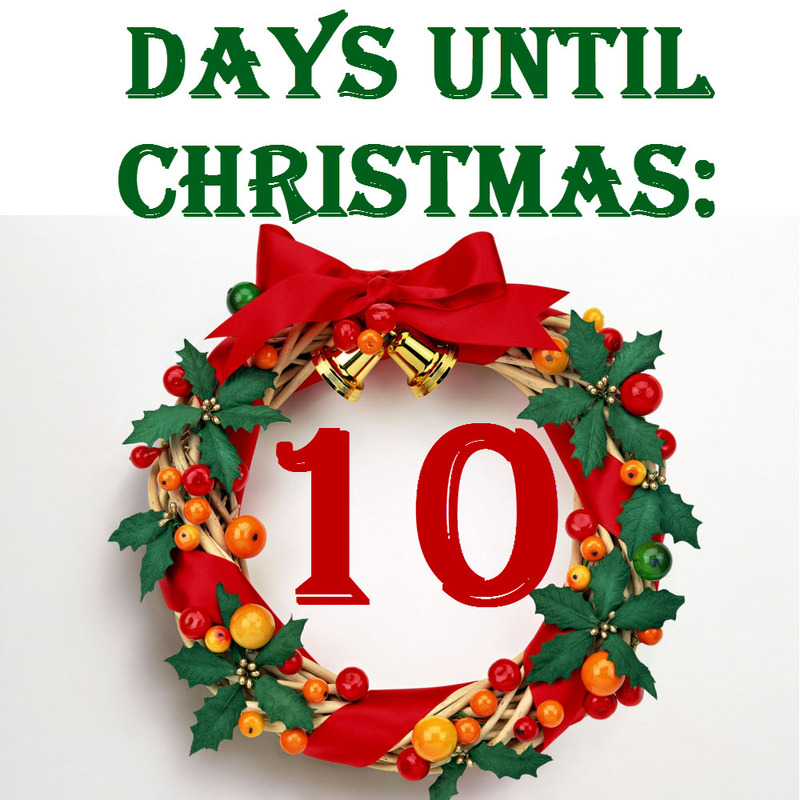 I can’t believe it’s only 10 days to Christmas! Time flies so quickly this time of year! As a kid it felt like forever waiting for Christmas and the excitement lingered until the big day arrived! Now I feel like I am rushing to fit everything in while still trying to celebrate my favorite holiday before it slips away! 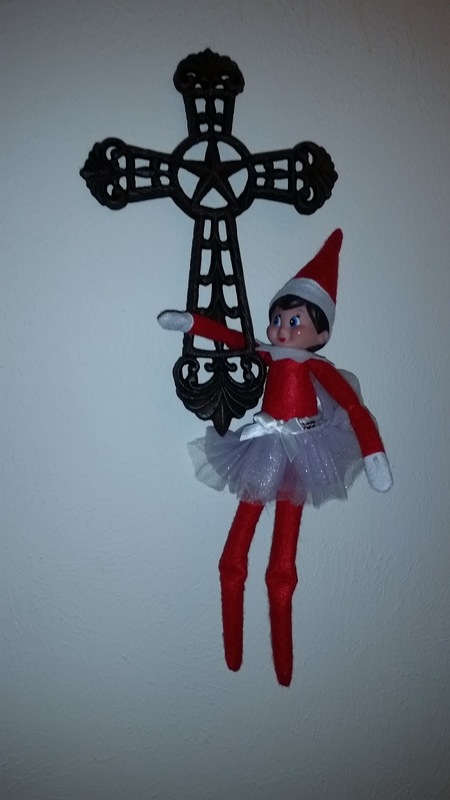 So in the spirit of celebration I wanted to share with you some of the ways that my family observes the holidays. Each year before Christmas eve my Dad and I spend one day rushing around town buying all of my moms presents together. 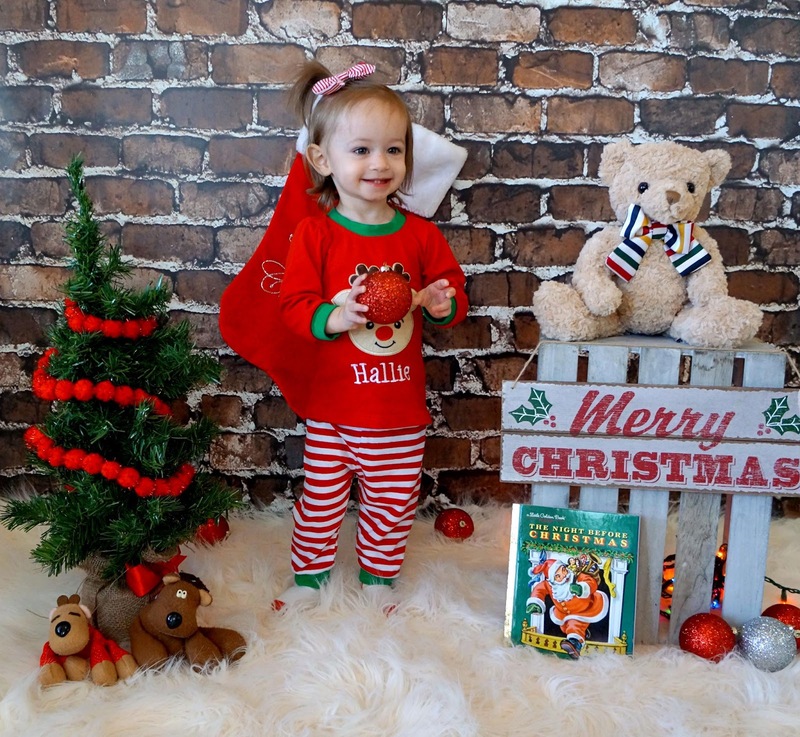 We used to go to the same store every year to buy trinkets for her stocking, but it is now closed! When we get hungry we always find ourselves at a Chinese Food restaurant. We have been doing this as long as I can remember! 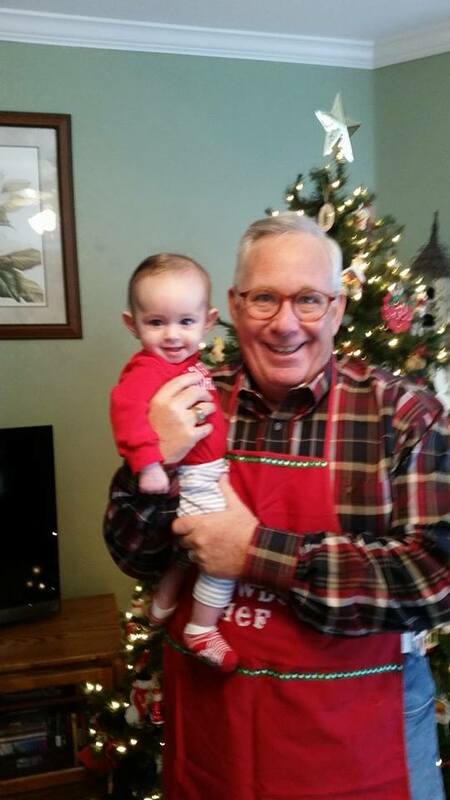 It is special to me because one of the things Christmas is about is spending time with family. Our Church always puts up a Christmas tree each year leading up to Christmas with tags of families or businesses in need of donations. Each year we adopt a child in need. This year we were able to give a few pairs of warm pajamas to a local pro life clinic. Hallie and I also try to find other ways to give back this time of year. We have donated a bag of food at the grocery store to a family in need and donated another pair of pajamas at Carter’s for children in need while buying Christmas presents. I like to make sure to give back this time of year because it helps me remember that Christmas isn’t about presents. It helps me count my blessings. For the past maybe 6 or 7 years, my sister and I (and now our friends and cousins) will get together and have a gingerbread baking and decorating party! I turn on the Christmas music and make the dough from scratch. We like to make our families out of gingerbread. The rule is always you aren’t allowed to decorate yourself. We always give Katie’s best friend Amanda the job of sculpting Stella Puppy out of dough and we even added a gingerbread bump on my belly the year I was pregnant with Hal! We make tiny ones for the kids and stretch a really tall one to make Christopher! We laugh and talk and get messy! Phones are usually put away because of our messy hands, so there are no distractions. It is just the best way to celebrate friendship! The Mock’s definitely know how to celebrate Christmas! The whole family travels to Christopher’s Aunt’s ranch the weekend before Christmas. Everyone chips in to make a ton of food. 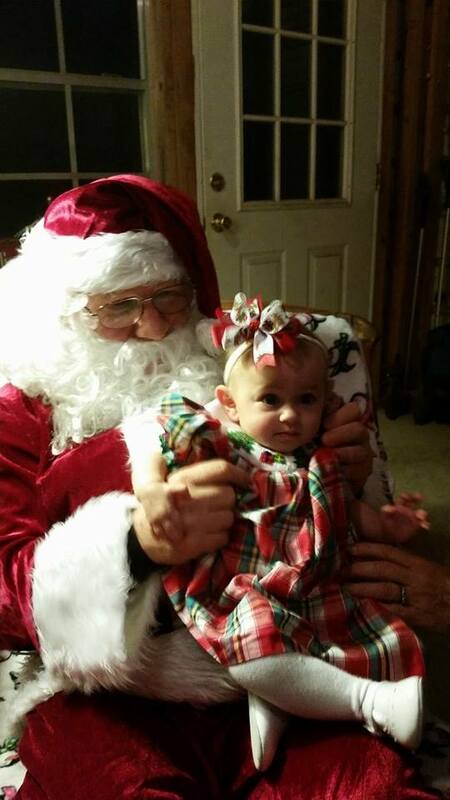 The family does a fun gift exchange, and Santa even makes an appearance to sing and take pictures with the kids! Some years we have been lucky enough to have Christopher’s cousin Father Matthew (Hallie’s Godfather) do a full Mass for us before dinner. I feel so blessed to be a part of this family. They are the kind of people who put family first and would give you the shirt of their backs if you needed it! They welcomed me with open arms even when Christopher and I were just dating and I was always treated as part of the family. We can’t wait to go see everyone this weekend! My Nana used to throw the BEST Christmas Eve party ever! My Mom’s whole family would come and their would be a TON of food! Then after dinner the kids and the Dads would go look at Christmas lights around the neighborhood (It was fondly named the “Gee Whiz Ride”) while the Moms cleaned up the kitchen and Santa delivered tons of presents for the kids! Then we would play a game of White Elephant. It was the best! 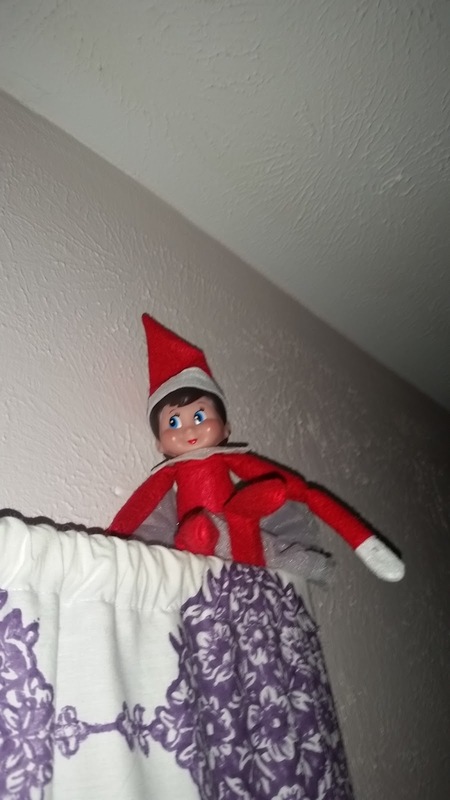 In recent years we have had it at my Aunt and Uncle’s house. I will always have fond memories of Christmas Eve at Nana’s though! Christopher’s family ALWAYS goes to Mass at midnight Christmas eve. It is the most peaceful way to ring in the Holiday. It truly represents the real meaning of Christmas. We always end by singing Silent Night in Spanish, English and then our German Priest sings it in German. The Mass is always beautiful and it is wonderful to celebrate as a family! On Christmas day, my family spends the day relaxing in Pajamas. My Dads family comes over, and we open presents, each chowder, the cousins play games and then we have a big Christmas dinner! It is such a fun day! Even if we had hardly any sleep the night before! Now of course I want all of the things in that song…especially the part about no more lives torn apart, that one is especially hitting home this Holiday season. 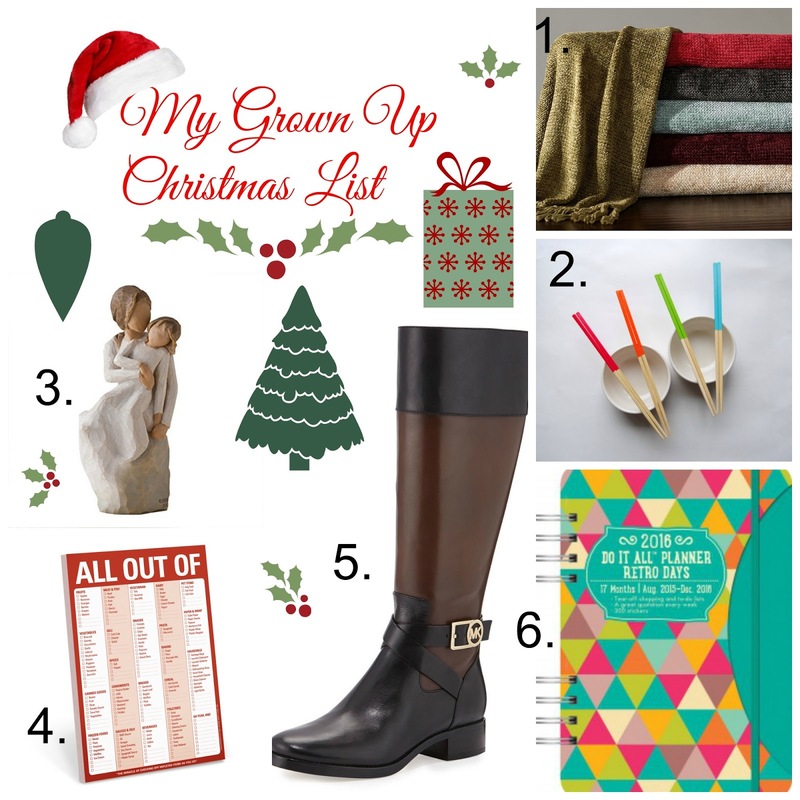 However I thought it would be fun to create a little wish list for under the tree. She has done it again! 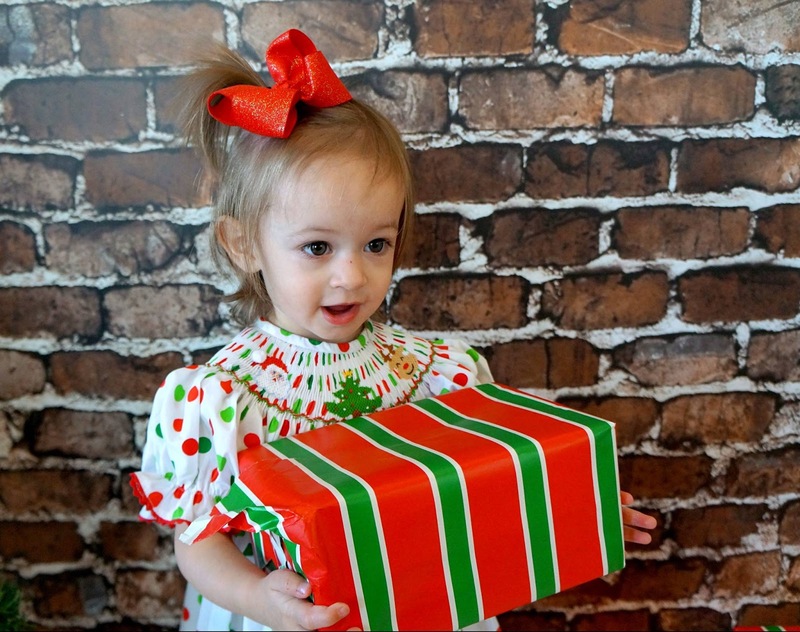 Mrs Larissa at Purple Moments Photography captured some of the sweetest photos of my Hallie girl last week! Take a look! 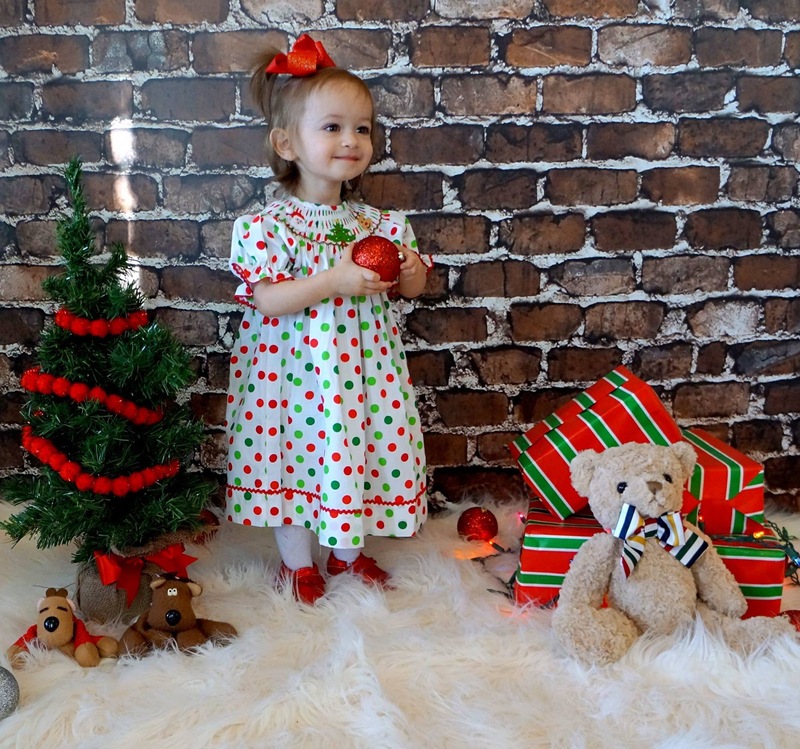 Have you taken your Christmas photos yet? The first day Jovie came, she went straight to Hallie’s room! She wanted to say good morning as soon as Hallie woke up! 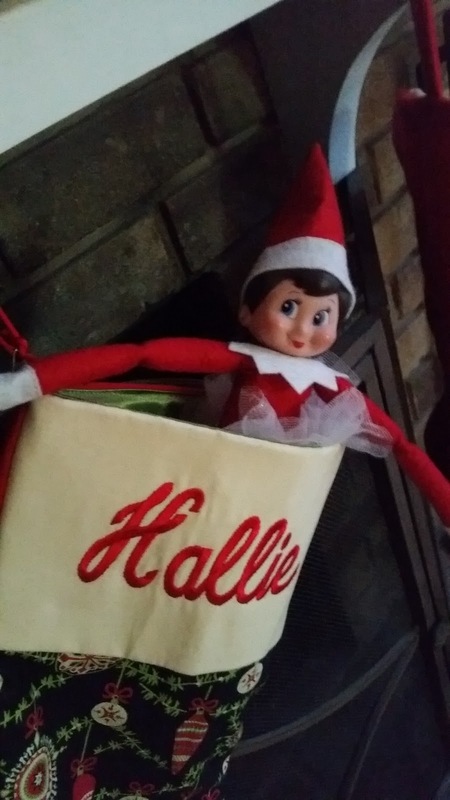 She’s made a cozy sleeping bag out of Hallie’s stocking! 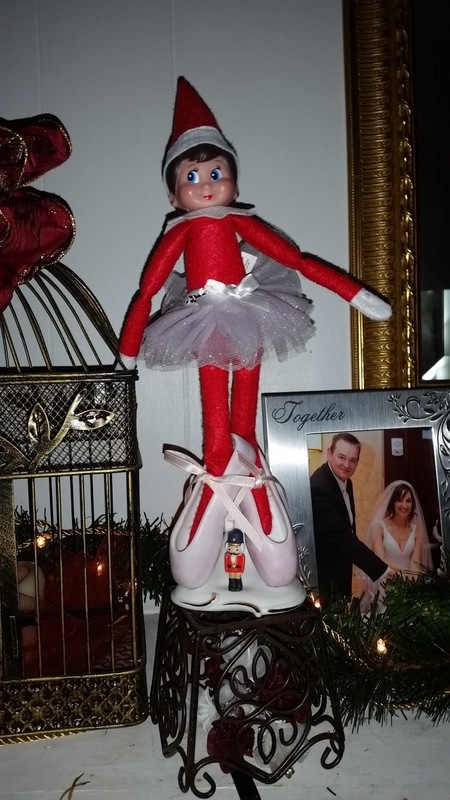 Jovie LOVES to dance the Nutcracker! 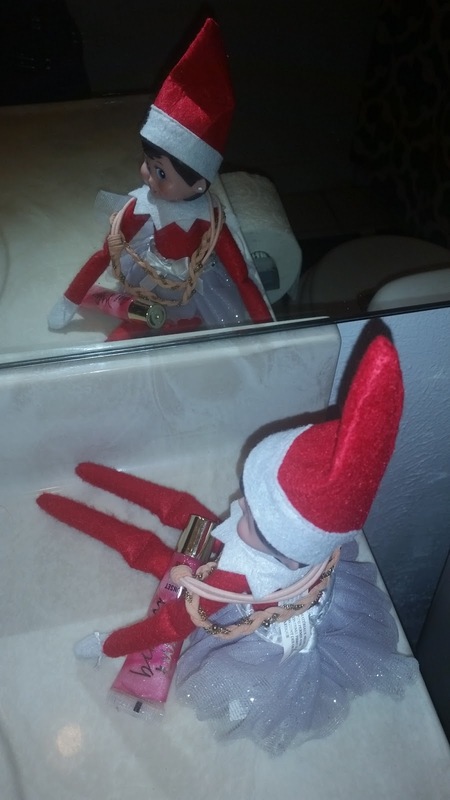 This day she was getting ready for a date with Buddy, Cleo and Sadie’s elf! In case you didn’t know, they are an item! 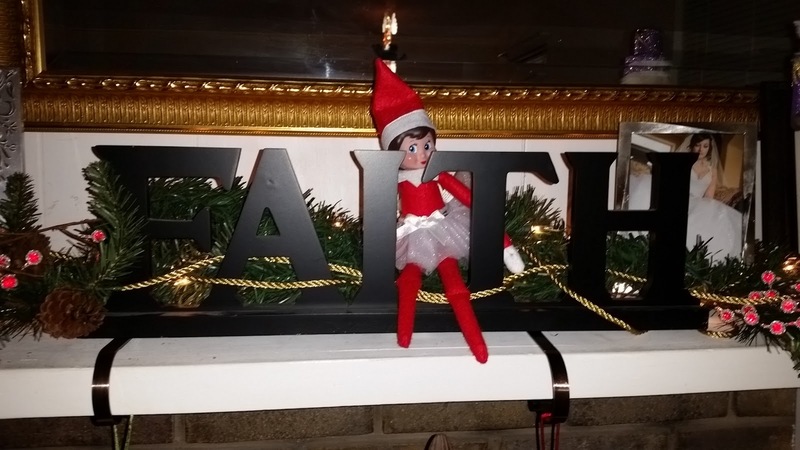 She reminded us that Believing is seeing and not the other way around! This day she brought Hallie new Christmas Pjs! And today she left Hallie a message on the fridge! 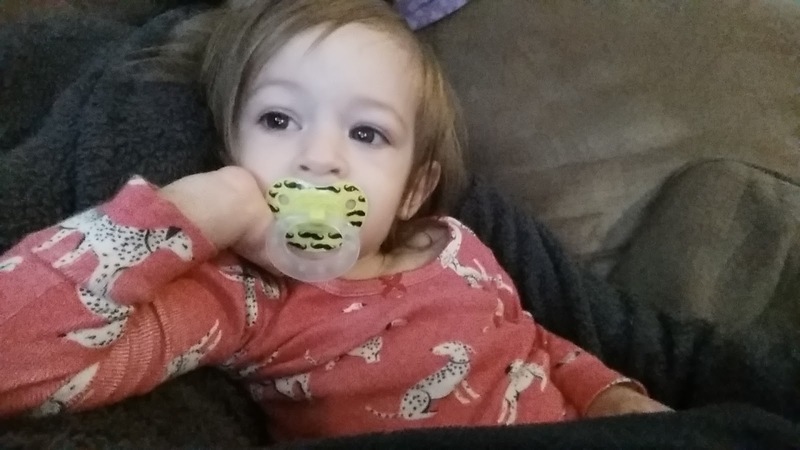 Hallie almost ALWAYS giggles when she finds her and exclaims “Silly Jovie!” It’s the cutest! We can’t wait to see what fun she has in store for us the rest of the month! 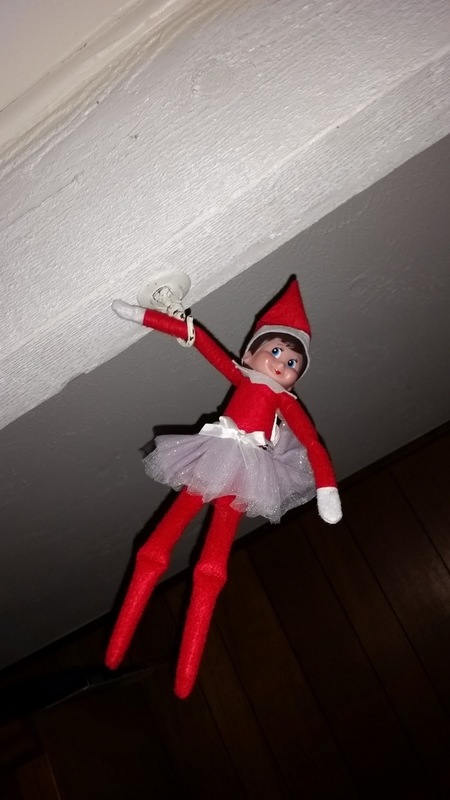 What have your elves been up to? We trimmed our Tree over Thanksgiving Break and Hallie is in love! She likes to walk up to the tree with her hands behind her back and sniff it! Apparently even artificial trees smell good to her! 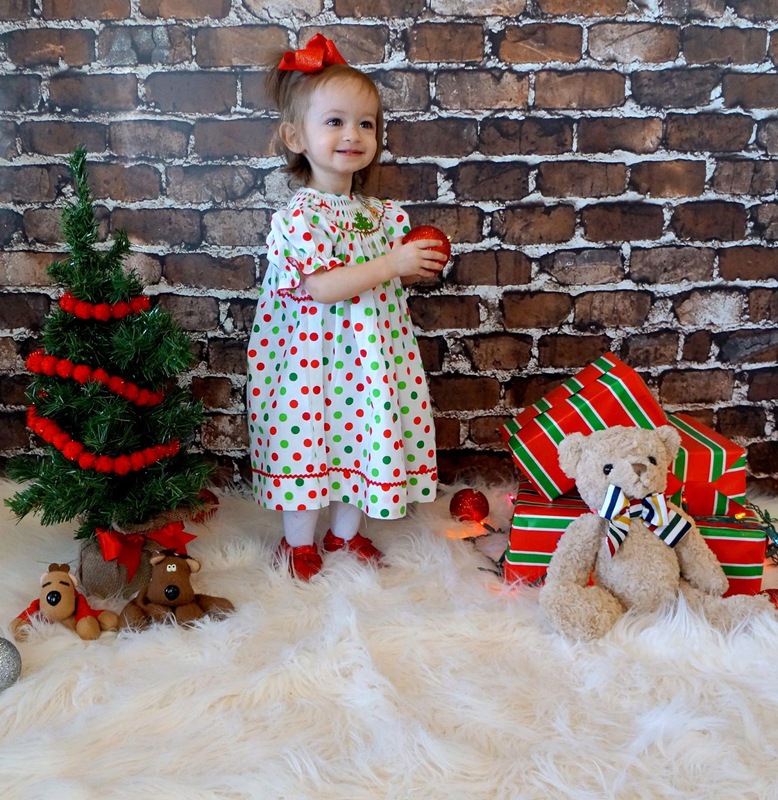 I can’t believe how good she has been about having her hands behind her back when she walks near the tree! I am thankful not to have to put a baby gate around it! That being said we definitely still have one around the fireplace…. 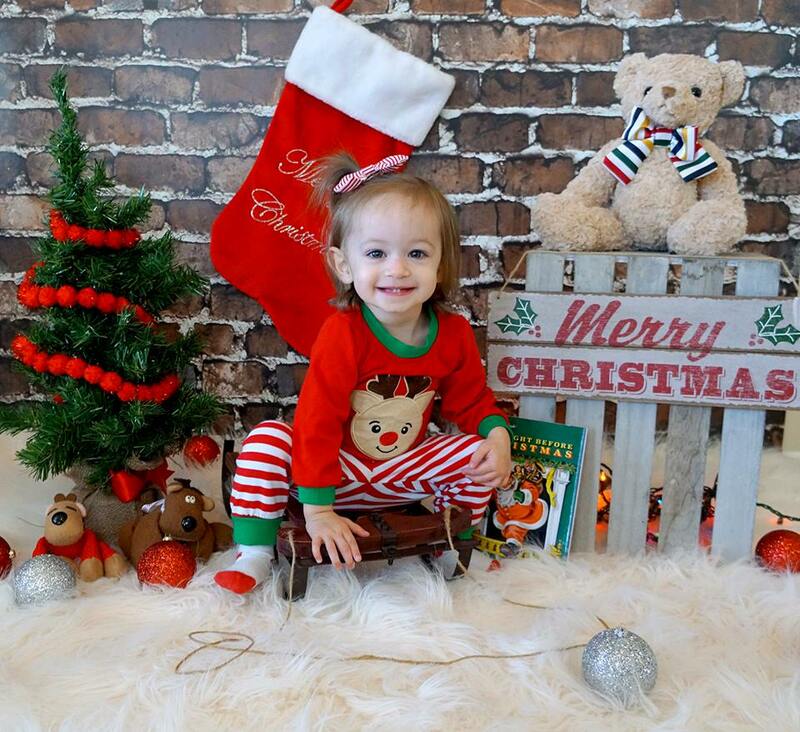 I just love this time of year, and I think Hallie is a jolly little elf just like her Momma! She gets so excited when she sees anything Christmasy or hears Christmas music! 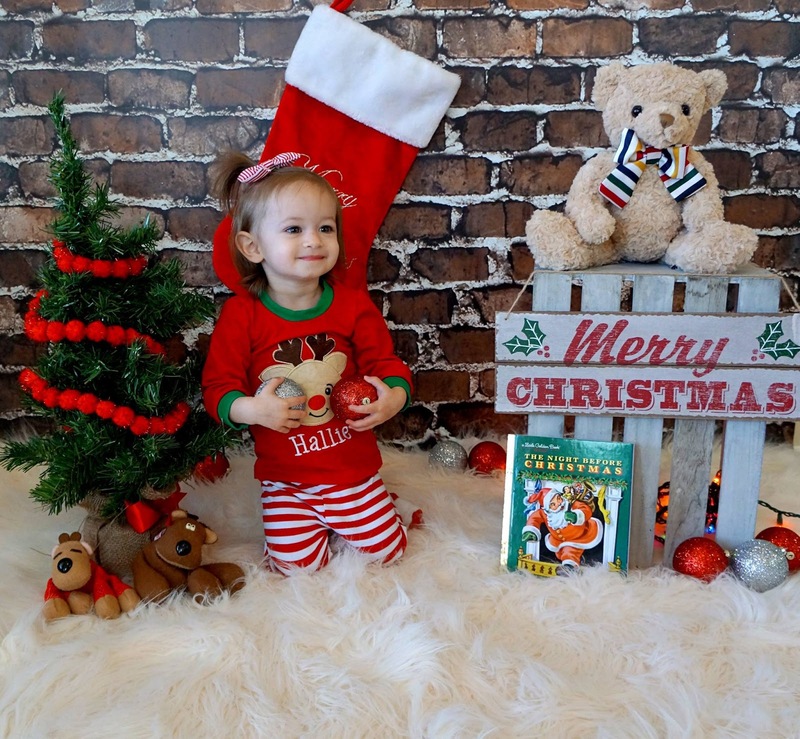 She exclaims “Ho Ho Ho!” Anyway, I hope you enjoy our decorating photos! The stockings my sweet Mother in Law made for us! By the way, about 1 1/2 days later, all of the lights burned out and I had to restring the tree….Happy Holidays! I hope everyone had a lovely Thanksgiving! I am finally coming out of hibernation and break mode! My big girls went back to school yesterday with only a few short weeks until Christmas break! I was in online shopping mode yesterday and scored some deals on Amazon! I got a good chunk of my list done! 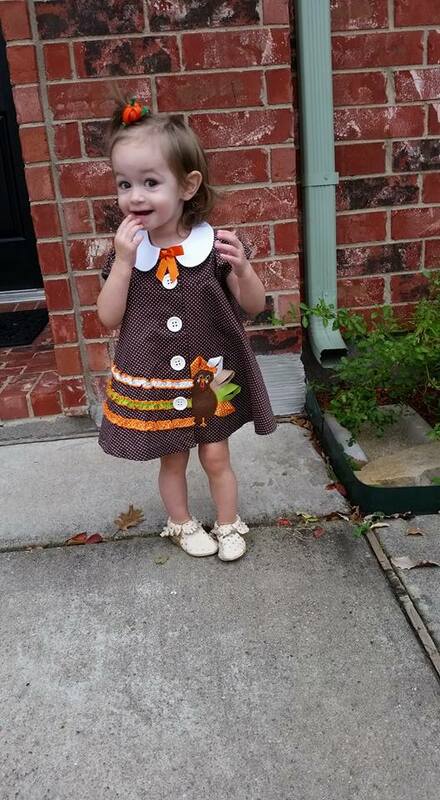 So now that the mayhem has subsided a bit, here is a little update on our Thanksgiving! Then Hallie and I curled up and watched the parade! I promise she enjoyed it, she was even kicking and twirling while the Rockettes were dancing, but when it’s morning nap time, it’s morning nap time! 2 seconds after this photo was taken, Hallie fell asleep! After the parade, we got cleaned up and went to my parent’s house! They were kind enough to invite my mother, father and cousin in law, so Hallie was lucky to have all 4 of her grandparents and her Big cousin Luke there! She cleans up nice…That face! Luke spilled water, but this photo op was too cute to pass up! Still waiting on food! Hallie’s Pop had just arrived and she came running into his arms! It was a really lovely day! Looking forward to Christmas! How did you spend your Thanksgiving?